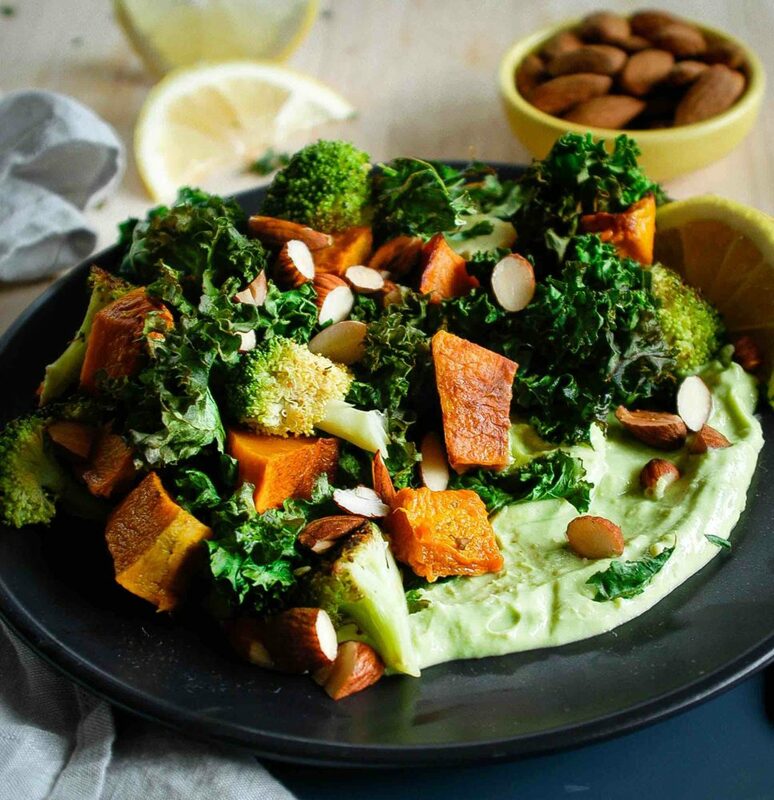 There aren’t many foods which have experienced the kind of celebrity that kale has in the last few years, but what’s all the fuss about – isn’t it just another green vegetable? Yes and no. All green vegetables are extremely good for us, but kale takes it to a whole new level. It is rich in vitamins A, K and C, contains essential minerals potassium, iron, calcium and magnesium, and has a whole lot of phytochemicals and antioxidants. 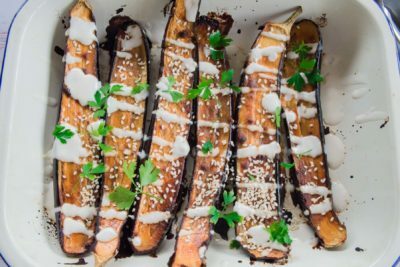 This means healthier eyes, better bone health and a reduced risk of developing chronic diseases (among many other health benefits), so all in all it’s a pretty impressive vegetable! Another advantage of kale is that, unlike spinach, it has a low oxalate content, which means that the calcium and iron in kale can be easily absorbed in our digestive system. But as fantastic as all of that is, the truth is that kale just doesn’t taste that great in it’s raw state – unless you quite enjoy a mouthful of prickly leaves. It is of course possible to add it into a smoothie, as is the current trend, but admittedly that’s not for everyone either. Place pumpkin cubes on a large oven tray and spray with extra virgin olive oil. Roast for 15 minutes, then add kale, broccoli and almonds, spray with oil, season with salt and pepper and roast for a further 5 minutes or until everything is just starting to brown. Meanwhile, mash avocado and mix together with yoghurt, lemon juice and salt (do this in a food processor if you prefer it to be really smooth). Spread avocado mixture over two serving plates. 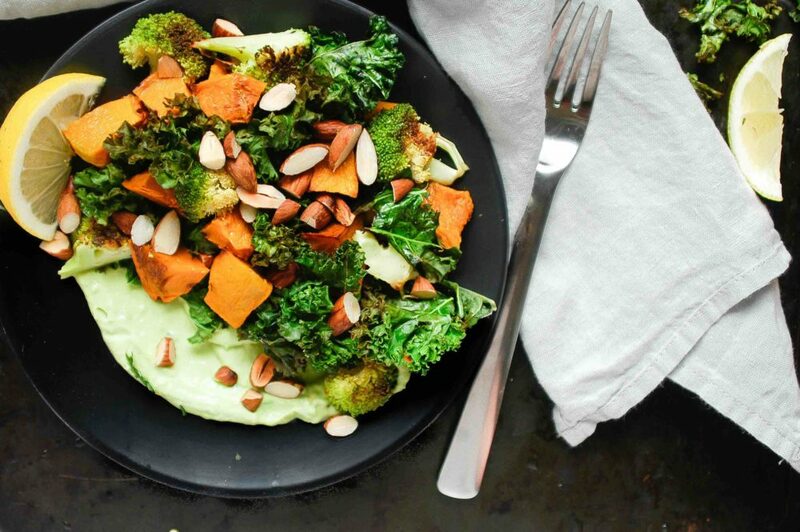 Top with kale, pumpkin, broccoli and almonds, drizzle with olive oil and serve with lemon.